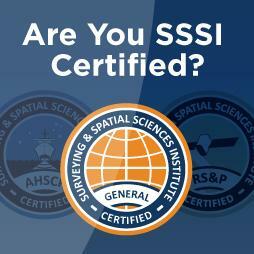 SSSI is an Institute that delivers excellence to its members on a local, national and international level. Membership of SSSI, Australia and New Zealand's national peak body for spatial professionals, provides a rewarding and diverse range of benefits for professionals at every stage of their career. Find your career path in spatial and discover exciting career opportunities. The SSSI Young Professionals group represents, supports and provides a voice to the young professional members of the SSSI community. SSSI's Women in Spatial group actively recognises the value and contribution of women in the spatial professions and within the Institute. The SSSI Heritage Special Interest Group role includes the research and commemoration of the role of surveyors and spatial professionals in Australia's history. Access live webinars and videos online for self-paced learning, any time, anywhere. Spatial professionals work in a vast array of professional fields and are involved at the forefront of the latest emerging technologies and global issues. Find out about the spatial sub-professions and their specialisations. Search SSSI's secure and public media and download documents. SSSI's Professional Development Program (PDP) seeks to support the lifelong learning of spatial professionals through a structured support program that delivers a variety of learning opportunities and outlets. The Program is a structured set of offerings that allows for flexibility so that members can develop and maintain high-value knowledge and practice. The Program also seeks to protect the market reputation of their members, and ensure a high level of quality assurance can be supplied to all members of the community. The Professional Development program upholds these requirements and adds greater credibility and reliance on the service spatial professionals provide. - Involvement in numerous networking opportunities with like minded professionals. SSSI hosts and supports a full program of events each year, in Australia and overseas. These events range from networking breakfasts to international conferences. Each event is designed to provide valuable professional development opportunities to members. The SSSI CPD Program is offered in recognition of an individual's commitment to lifelong learning and professional obligation to maintain currency within the spatial industry. The CPD Program supports a range of development activites including SSSI events, self-paced learning and on-line training. SSSI Certification identifies your level of expertise to your peers, clients, employers, and the wider community. Certification allows members and non-members alike to gain recognition of their competence and integrity via a formal "Portfolio-based" process. View and register online for national and regional CPD events held by SSSI and other spatial bodies.